11/17/2017: The USPTO registers a trademark in response to a trademark application prepared by the trademark attorneys at Mohr IP Law for an Oregon trademark applicant. The registered patent is directed to LEOPARD CLAW. 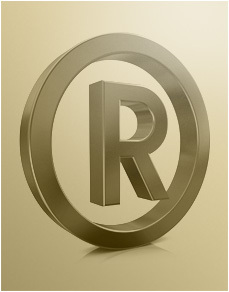 As part of our trademark services, Mohr IP Law advises clients when registered trademarks need to be renewed with the USPTO to keep their trademark rights enforceable. 11/14/2017: The USPTO publishes a trademark application prepared by our trademark attorneys for a trademark applicant located in Oregon on the Federal Trademark Register. The trademark application is directed towards BioFloat, Publishing a trademark application helps identify potential conflicts with third parties. Our trademark attorneys help clients defend their trademark rights in opposition proceedings when conflicts are identified. 11/13/2017: The USPTO publishes a trademark application prepared by our trademark attorneys for a trademark applicant located in Oregon on the Federal Trademark Register. The trademark application is directed to the logo House Halo, Publishing a trademark application helps identify potential conflicts with third parties. Our trademark attorneys help clients defend their trademark rights in opposition proceedings when conflicts are identified. 11/8/2017: Trademark attorneys at Mohr IP Law receive an Office Action from the USPTO regarding a trademark application prepared for a trademark applicant located in Colorado. Our trademark attorneys regularly develop strategies for responding to trademark Office Actions for our clients. 11/7/2017: The USPTO confirms that the attorneys at Mohr IP Law have secured allowance of a trademark application prepared for a Washington applicant. The allowed trademark application is directed to SUPPLYING DEMAND. Our attorneys regularly work with the USPTO to register trademarks for our clients upon receiving a notice of allowance like this. 11/3/2017: Trademark attorneys at Mohr IP Law receive an Office Action from the USPTO regarding a trademark application prepared for a trademark applicant located in California. Our trademark attorneys regularly develop strategies for responding to trademark Office Actions for our clients. 10/31/2017: The USPTO confirms that the attorneys at Mohr IP Law have secured allowance of a trademark application prepared for a Washington applicant. The allowed trademark application is directed to HICCIMMUPS. Our attorneys regularly work with the USPTO to register trademarks for our clients upon receiving a notice of allowance like this. 10/25/2017: Trademark attorneys at Mohr IP Law receive an Office Action from the USPTO regarding a trademark application prepared for a trademark applicant located in Oregon. Our trademark attorneys regularly develop strategies for responding to trademark Office Actions for our clients. 10/24/2017: The USPTO confirms that the attorneys at Mohr IP Law have secured allowance of a trademark application prepared for an Oregon applicant. The allowed trademark application is directed to CHAOBAOER. Our attorneys regularly work with the USPTO to register trademarks for our clients upon receiving a notice of allowance like this.